Richard is Donor to Donor’s newest client. With blood type O, Richard can accept a kidney from a donor with blood type O.
Richard is 62 years old and he has been on dialysis for 7 years. Even while on dialysis, Richard works full time in the maintenance department of an office park in Greenwich, CT. Prior to his current job, Richard was worked in highway maintenance on the Connecticut highways. For many years, Richard was an active softball player. His main entertainment these days is watching action movies and listening to classic rock. Richard is a kind soul and a hard worker with plenty of enthusiasm to enjoy a life free from dialysis. Please let others know about Richard and let’s find him a donor. Carolyn is a 53 years old resident of Norwalk, CT.
Carolyn is a 53 years old resident of Norwalk, CT. Carolyn is a deeply religious member of her church congregation, having spent much time over the years with a woman’s halfway-house, with youth groups and the Norwalk Emergency Shelter. Carolyn sang in the church choir and loves gospel music. Carolyn’s kidneys failed in 2014, and she is on dialysis three days a week for four hours at a time. Carolyn has been working since age 16, and she has a degree in Business Administration. She currently works in a customer service role for a company in Stamford, CT. Carolyn lives with her mother and her sister and she loves to cook. Carolyn is an excellent candidate for a kidney transplant and we are anxious to find her donor. Carolyn sang in the church choir and loves gospel music. Carolyn’s kidneys failed in 2014, and she is on dialysis three days a week for four hours at a time. If you are blood type O and would consider donating a kidney to help Richard get back to a full and productive life, please contact Ned Brooks at nedbrooks@donortodonor.com for more information. I am interested in becoming a donor. 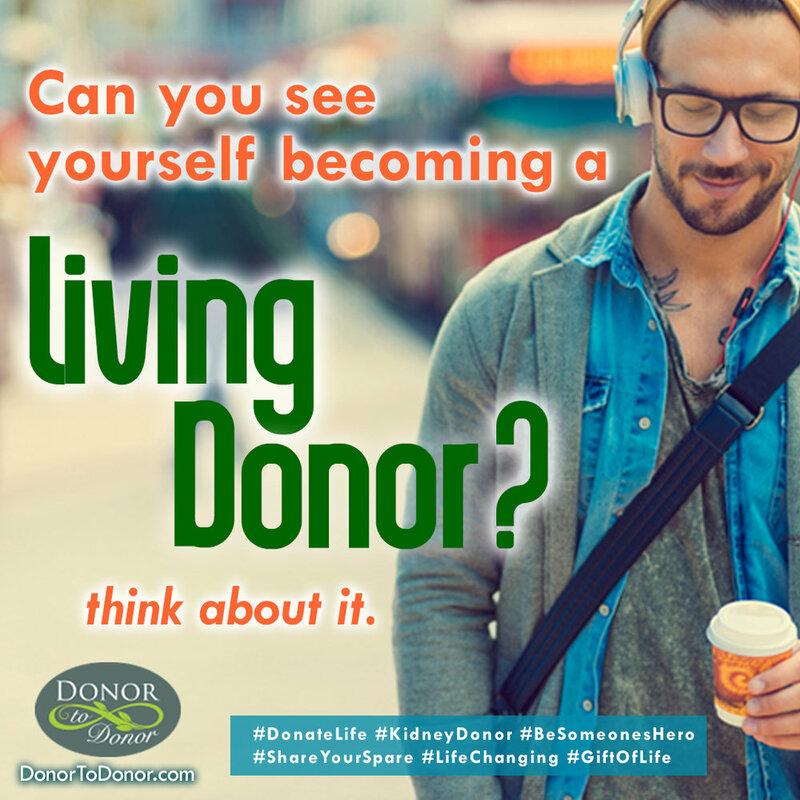 I know someone that is interested in becoming a donor. I am in need of a transplant and would like to be matched with an advocate. I would like to find out more about Donor to Donor. Would you mind if we use your story on our website and social media? If you send us an inspirational story, we would love to post it in our website and/or social media. Just so you know, we would remove all names and personal information beforehand. We always give credit as "Submitted by - First Name." No choice below / defaults to "No"
We will get back to you as soon as possible. We appreciate every connection we make and your interest in this site is wonderful, we look forward to talking with you.